I’m making two posts in one day, that’s what’s up! This is how you know I’m excited to be a new blogger. Anyways, we bought a big bottle of Bailey’s yesterday at Costco because I knew I wanted to bake some things with it while I was still in the suburbs at my parents’. 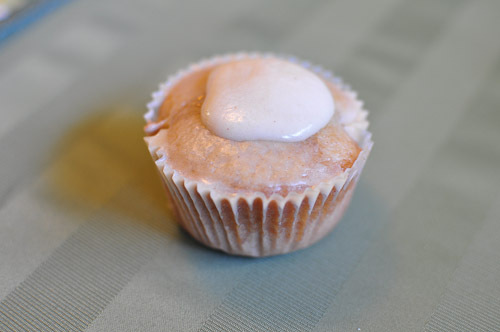 I found a lovely recipe for Bailey’s Irish Cream Cupcakes on Sweet Tooth‘s blog . They looked just glorious on there. Let me begin by saying this is the first time I’m baking cupcakes. Haha, yes I am a total noob! I’ve made muffins before though, so that’s kind of close. Anyways, like I said, I’m willing to learn and I’m excited to be learning! Kammie is becoming domesticated. Ha, kinda. Not really. I did enjoy baking quite a bit though. 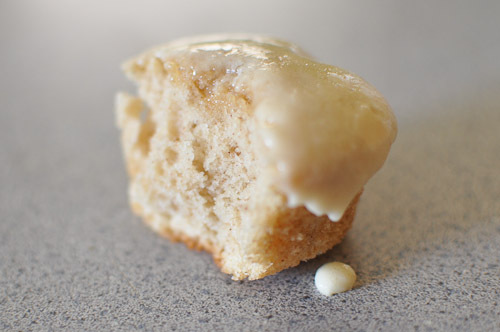 I messed up on the frosting and it did not end up the way it should, I think, mainly because I ran out of powdered sugar and I didn’t have that cool frosting bag you use, so I just used a ziplock bag with a hole in a corner. Might have not came up looking exactly the most beautiful but did they taste GOOD! My dad ate 6 (not like that’s a big achievement for him or anything) and afterwards he came to my room and congratulated me on a job well done. Haha, so yeah, they are pretty delicious! Props to Sweet Tooth for the recipe, for sure. 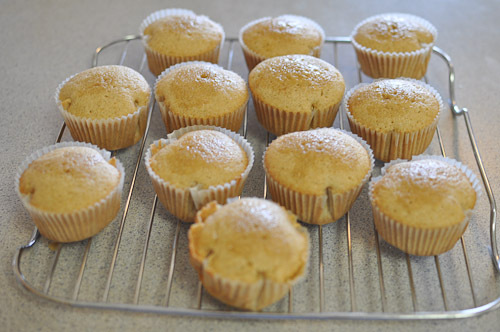 Line 12 muffin tins with cupcake liners. Preheat oven to 350 degrees F. In the bowl of an electric mixer, cream together sugar and butter until light and fluffy, about 2-3 minutes. Add eggs and egg whites one at a time, beating on low between each addition. Add vanilla. 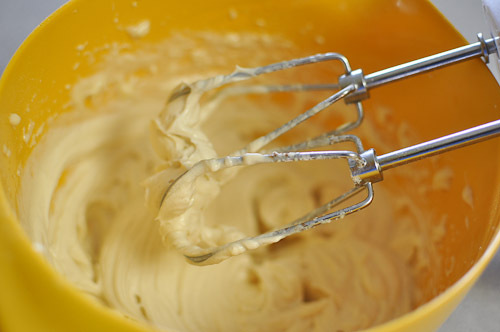 Add flour slowly in 3 additions, alternating with Bailey’s, starting and ending with flour. Bake 15-17 minutes, or until a cake tester comes out clean (my time came out to be about 20 min). 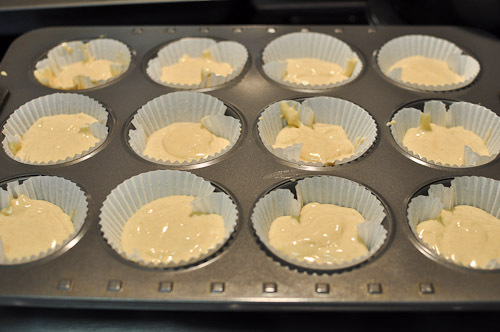 Allow to cool in pan for 5 minutes, then transfer to a wire rack to cool completely. 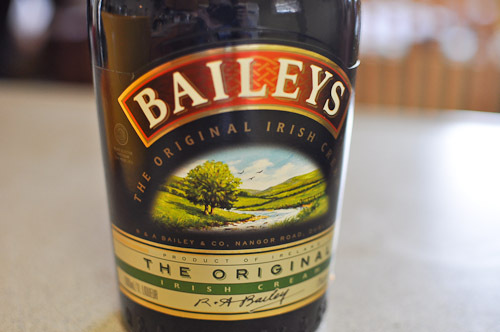 Do you like drinking Bailey’s Irish Cream? When’s the last time you had a boozy dessert? What was it? Yum – they looks delicious! BTW Welcome to the world of blogging – looking forward to reading more!